The Sons of the American Revolution promote patriotism as part of its charter. 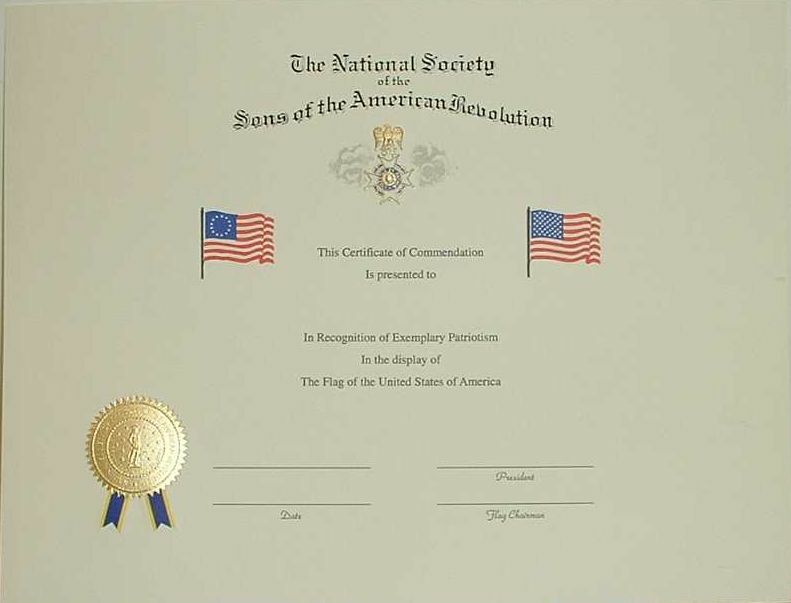 The Flag Award is a way for a chapter to recognize citizens or organizations who regularly and properly display the Flag of the United States. 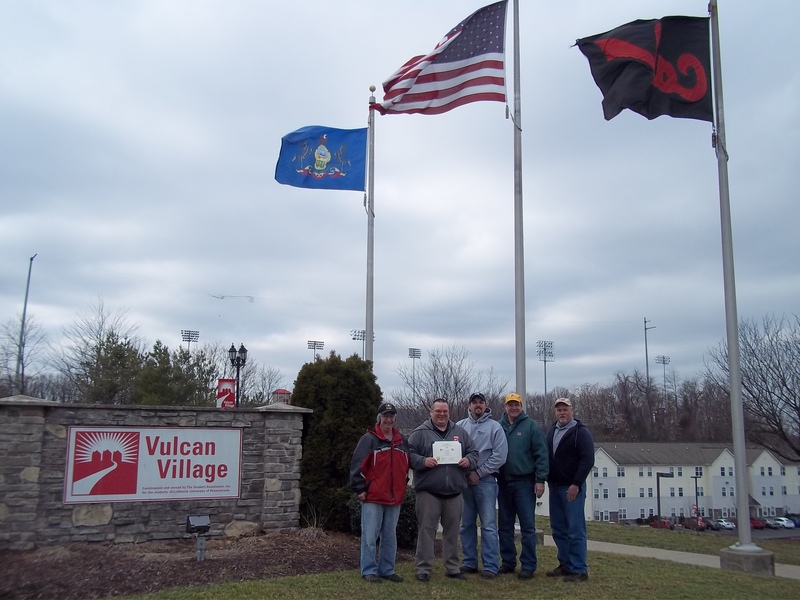 This is the latest Flag Award given to Frank Romero on April 29, 2017 in Monongahela, PA. Presenting the award id Michael Merryman, Vice President, George Washington Chapter, Pennsylvania SAR. 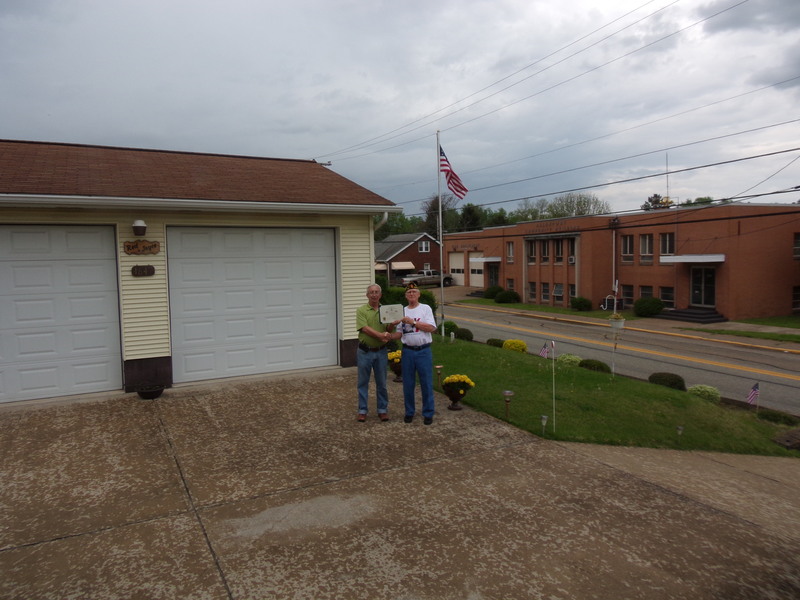 The Flag Award was presented on July 26, 2016 to Deborah Brady of Coal Center, Pa.
Presenting the award is Larry Ridgway, President of the Society of The, George Washington Chapter, Washington, Pa. Sons of The American Revolution. 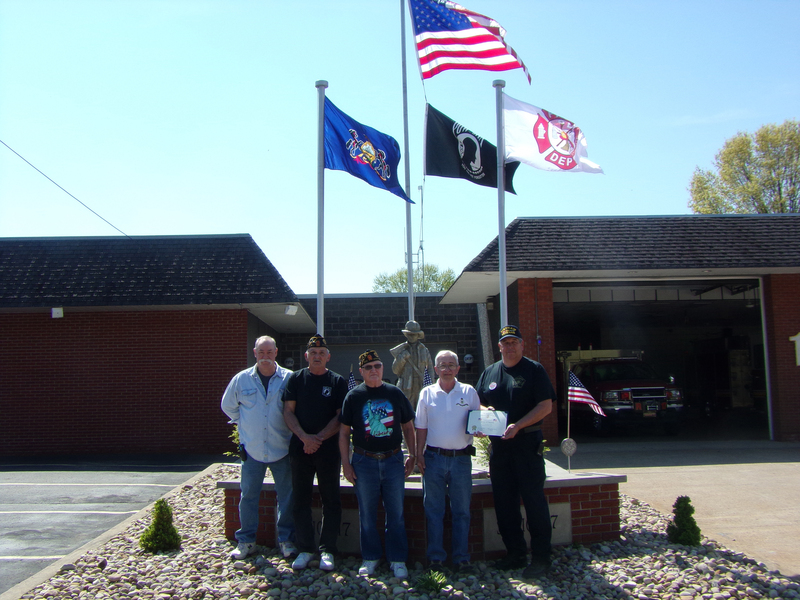 The Flag Award was presented to the Stockdale Fire Department on May 28, 2015. Participating in the presentation are, from left, Jim Gregg, Jim Trozzo, Jack Gillon, Larry Ridgway, president of the Society of the Sons of the American Revolution, George Washington Chapter, and Al Marcy. 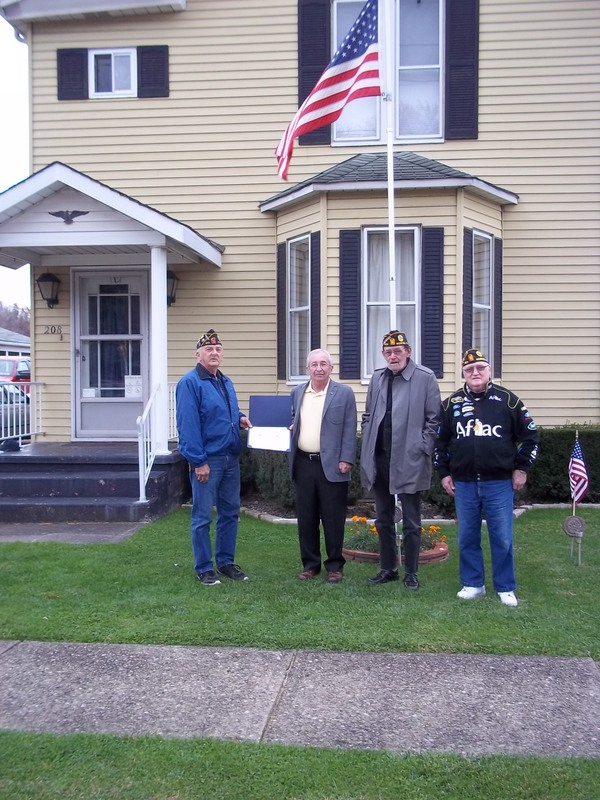 The Flag Award was presented recently to James Trozzo of Stockdale, Pa. Presenting the award is Larry Ridgway, Compatriot representative of the Society of The Sons of The American Revolution, George Washington Chapter, Washington, Pa. Attending the ceremony from the American Legion Post 801, Roscoe, Pa were Commander Dave Bilis and Sgt at Arms Jack Gillon.